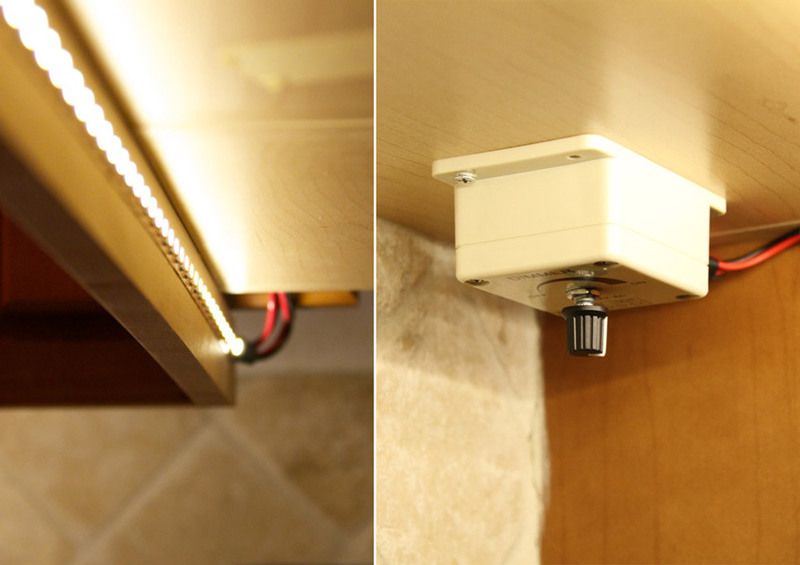 LDK-8A LED Dimmer used as 12V dimming option for undercabinet lighting with NFLS series Flexible LED Light Strips. 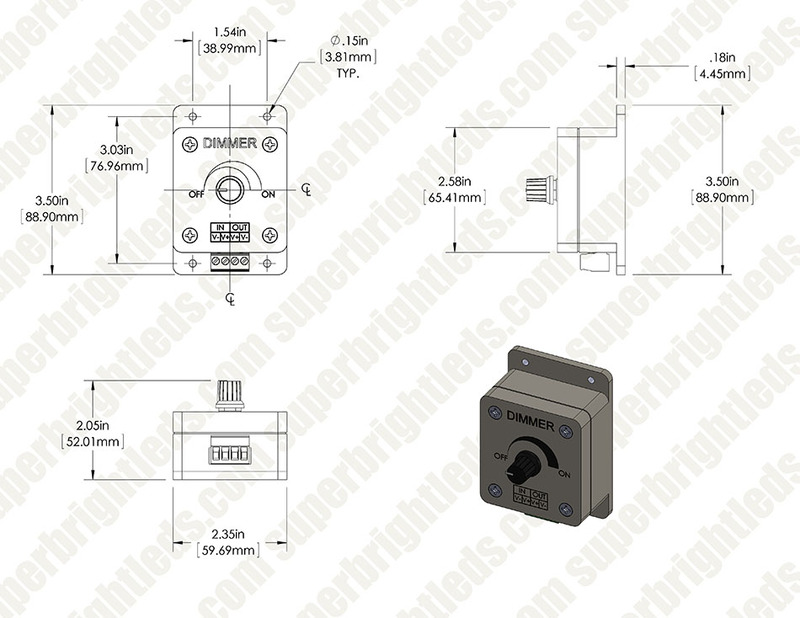 LDK-8A universal single color LED dimmer. 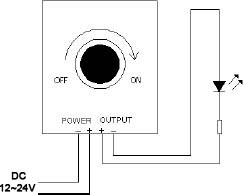 Can dim most 12VDC or 24VDC LED products from 0%-100% using a Pulse Width Modulation(PWM) circuit knob control. 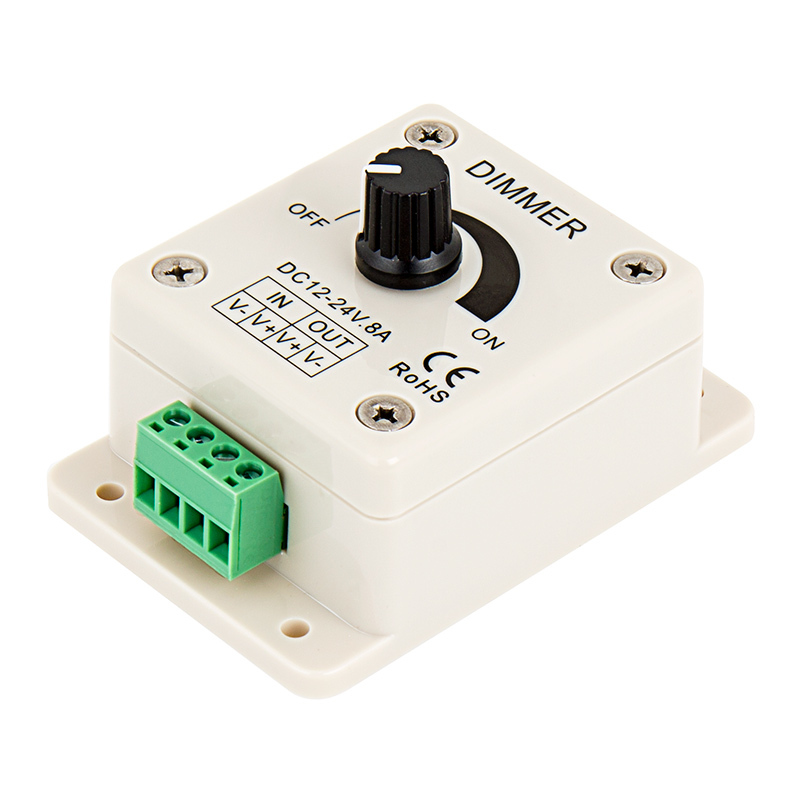 Has screw terminal connect for power in and out connections and has a maximum load of 8 Amps. This is a nice, simple, single colour led strip dimmer. 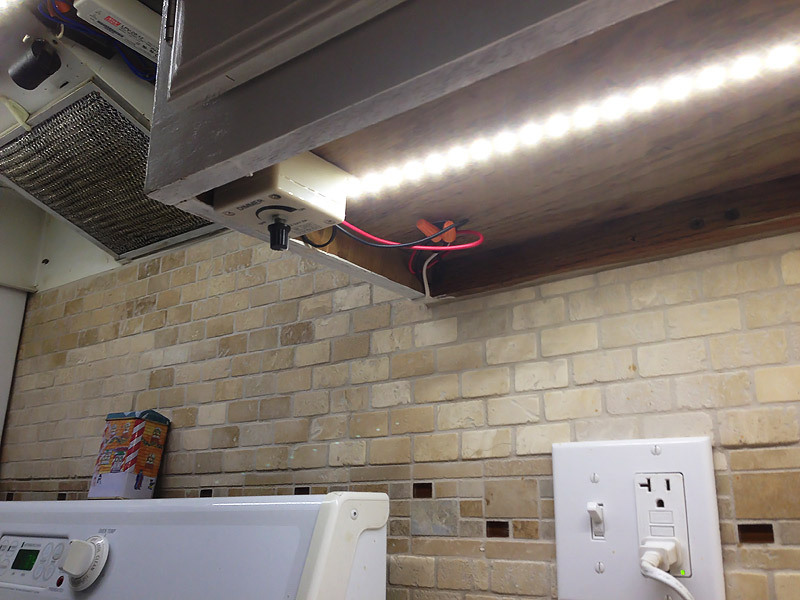 I've used it inside cupboards and under counters and I love the fact that it dims to fully off.Also it's great that you can use both 12 and 24 volt led strips with it.The pot has a solid feel to it. I used this with 5 G4-WWHP6-RAC bulbs and a APV-12-12 power supply. 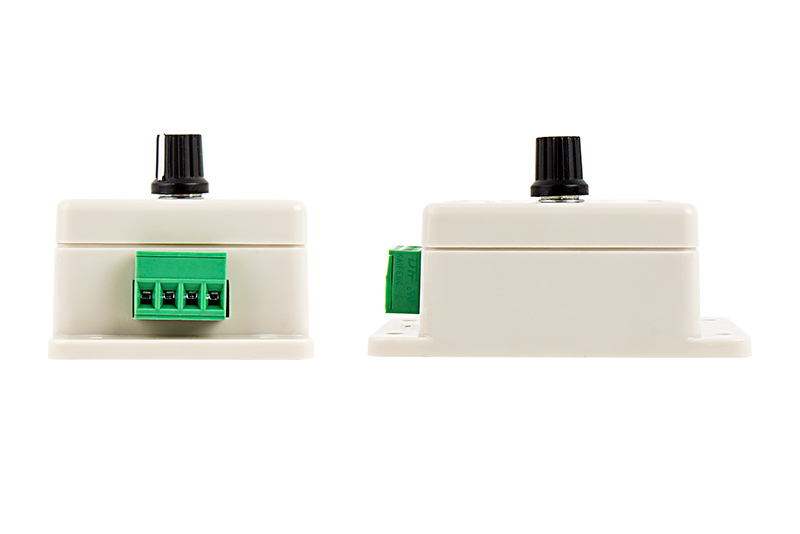 The connector block is very convenient, but as one turns the control, the dimming action only begins near the end of the travel, and happens very rapidly. 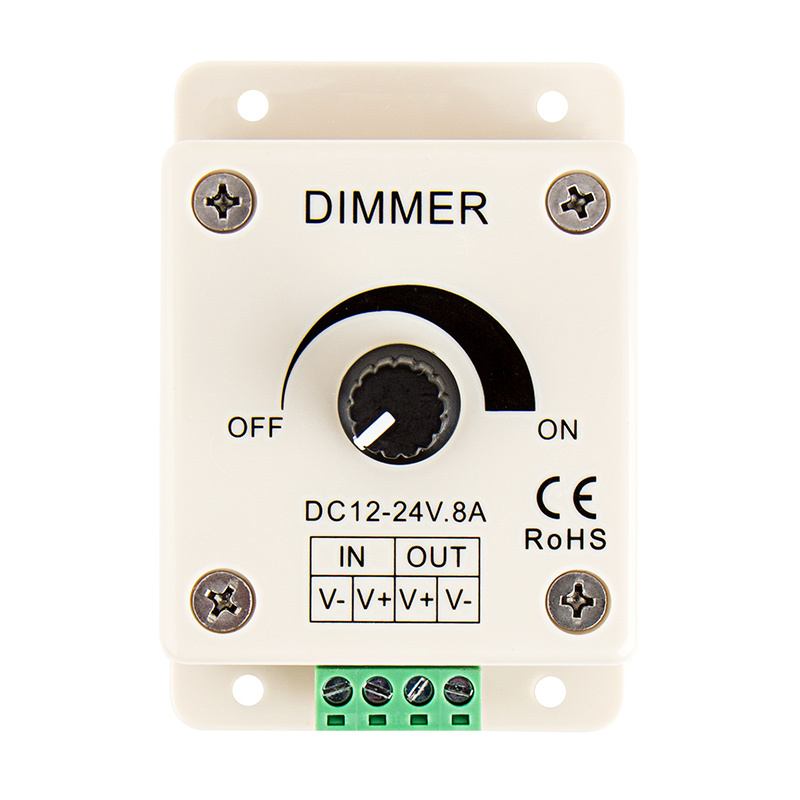 The bulb used with this dimmer is listed as not being dimmable becasue the circuitry is not compatible with PWM dimmers. Please verify the ability to dim as listed in our "Specifications" for bulbs, before pairing with dimming technology. Simple and easy to adjust and install. Stays set where you want it. Cheap and works fine. I like it better than the remote versions. Great for sign applications where clients want to adjust brightness. Had to go with a dimmer because my mini-lightbar was bright enough to signal the space station! This one works great and was very easy to install.